Welcome to Great Scapes , your home for the most extraordinary, cost-effective, and professional Hardscaping, Retaining Walls, Fire Places, Patios, Custom Stone work in Maryland and Metro area. Operating since 1987, we have always put great pride in the products we deliver, regardless of what you are looking for while providing among the best values in the Hardscaping industry. Truly, whether you are in the market for high quality pavers, beautiful water features that you and your neighbors won’t ever forget, or simple hardscapes in the Maryland, DC and Virginia, you are certain to find what you want. Add in our professional attitude, expert workmanship, and our host of workers who treat your property with the respect and pride it requires, and you get a landscaping company that goes above and beyond what you’ll find anywhere else. Of course, when trying to find any landscapers, it’s important to understand what they have to offer; so, allow us to take you through our landscaping and hardscaping services so you can see precisely what you are getting when you choose Great Scapes . Trust us; you won’t be disappointed. With 40 years of experience in Landscape Architecture and Construction, Rolling Acres has provided landscaping and outdoor living solutions for residences, commercial properties, and communities throughout Maryland, Virginia, and the District. Our dedicated staff of Landscape Architects, Designers, Managers, and skilled craftsmen will create a beautiful environment that will increase the value of your property and can be enjoyed for years to come. We also take great pride in our attention to detail and prompt service. 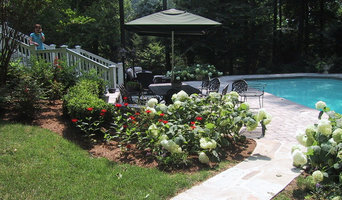 Lanphear Landscaping and Stone L.L.C has served the Baltimore metro area for the past 25 years. We are a full service landscape design and installation company that builds its pride on creativity and detail. We specialize in combining natural stone with ornamental plant material to provide the clientele the ultimate goal, satisfaction! Lanphear Landscaping is a small business consisting of myself, Stephen Lanphear, and a few skilled landscapers. What this means is that I will personally plan and oversee every step of the landscaping process. You will not receive this specialized attention from most of the larger landscaping companies. With Lanphear Landscaping every step of the way is personalized, from hand selecting ornamental plants and stone to the overall landscape design. No project is too small or too large. With Lanphear Landscaping you will not have to compromise on your landscape's vision. 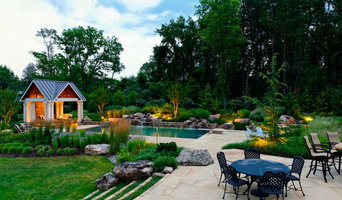 We are a full-service landscape design/build firm that has been woman owned and family operated since 1974. 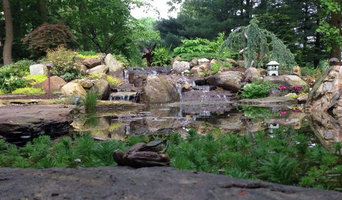 We design and install landscapes, drainage solutions, hardscapes, lighting, and irrigation, catered to our clients. We also help clients with master planning and planning required for County permitting. We are constantly researching new products and ways to solve landscape problems. 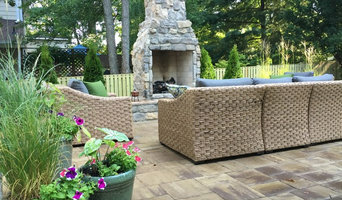 Since 1983, Hughes Landscaping has delivered thoughtful designs, quality materials and the highest standards of craftsmanship to create beautiful, functional outdoor spaces for clients across the Washington Metropolitan Area. We've worked on projects ranging from commercial to residential, refreshes to complete redesigns, landscapes to hardscapes, stone to wrought iron. We invite you to view our portfolio. We believe the work speaks for itself, but we're deeply honored to have our clients speak for our work.